LCR Honda rider Cal Crutchlow says he is pleased with his return to riding in the MotoGP pre-season test at Sepang following a three-month injury break. Crutchlow broke his right ankle in a heavy crash at Phillip Island, and was ruled out for the rest of 2018 as he underwent multiple surgeries. 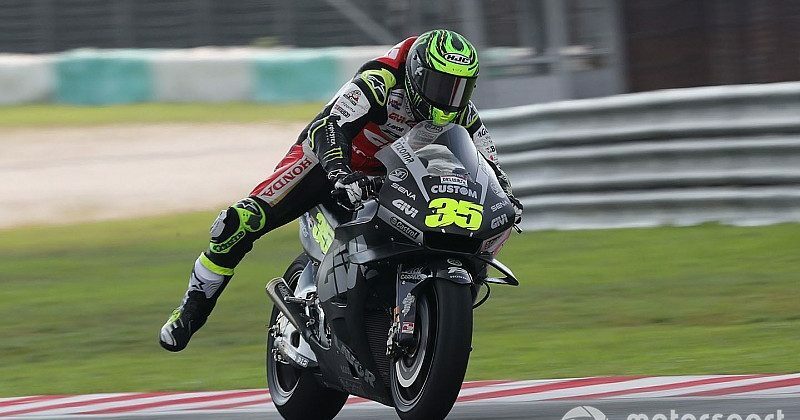 The Briton made his MotoGP return this week at Sepang and while his ankle hasn’t healed perfectly yet, Crutchlow said he was not bothered by it while riding. He ended up as the fastest Honda in sixth on Friday, beating both his LCR stablemate Takaaki Nakagami and the likewise injured Marc Marquez by nearly four tenths. “My ankle is getting sore and hot and swollen but I feel in good shape. Better than expected. I feel the ankle is in good shape it doesn’t bother me on the bike, it bothers me when I stop. Crutchlow added that he could have been “a lot faster” if not for a mistake on his fast lap and then a subsequent crash at Turn 5. Crutchlow added that he is yet to get comfortable with the 2019-spec Honda, which is partly due to his injury, and a different front-end feeling. ” I got to ride both [’18 and ’19] bikes this week so I know what the other one felt like,” he said. “But I missed two tests on the ’19 bike [at Valencia and Jerez] and to adapt on the bike to how we want it to feel.